The world has changed a lot since the first Morris Lubricants shop opened in 1869. Now in its 150th year, the company discusses how it plans to make its mark in the future with the launch of its new corporate website. T he company’s new online presence has been designed to give a cleaner view, making it easy for visitors to work around the plethora of information available from a company that has a lot to say, with a diverse range of products and activities across multiple industries. Rather than just presenting facts and news, Morris Lubricants wants to engage users in its story, from humble beginnings as a grocery shop to the global independent business it is today. The new website knits together information that visitors want and need in an easy to read layout that incorporates both text and video content. The menu bar leads to different areas of the Morris Lubricants story, starting with a journey through its history, to its position today. The new site also focuses on the people behind the scenes who make the efforts of today possible, highlighting the teamwork that goes into making the brand so successful. There is also a dedicated section highlighting the company’s activities as it celebrates 150 years in business. From a timeline highlighting every major moment on its journey to global success, to videos and details of special events marking its anniversary, including the Talisman Tour – Morris Lubricants’ project to build a Talisman Fowler B6 road locomotive from scratch – which will be the first time this will have happened since 1931. Alongside the history, the new site features a ‘Nerve Centre’ section, where, among other things, visitors can find the latest Ask Ade videos. These have proven popular over the years, with technical guru Adrian Hill taking time to answer queries on all things lubricants. 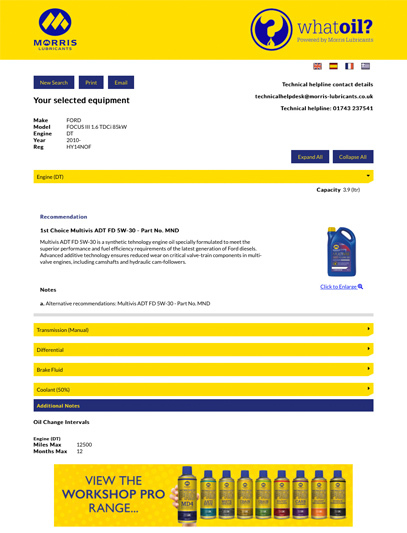 There are also links to the latest company news, social media accounts, contact information and product brochures for the varied range of industries that Morris Lubricants serves. The Nerve Centre also includes a link to the What Oil website, which itself has been updated with a new logo and fresh look. However, users will still be able to search for the recommended lubricants for their vehicles, including passenger, commercial, agricultural, off-highway and industrial, either by using the dropdown boxes or, in the automotive market, inserting your vehicle registration details to find out more recommendations. Both Ask Ade and What Oil aim to explain the importance of using the right lubricants for a vehicle, ensuring customers protect their engines and critical moving parts, rather than damaging them. The new website features a dedicated section highlighting the work and latest projects of the Morris brand ambassadors, Guy Martin and Rebecca Jackson. Morris Lubricants Racing (MLR) ambassadors will also be on hand to offer the latest motorsport programme updates. 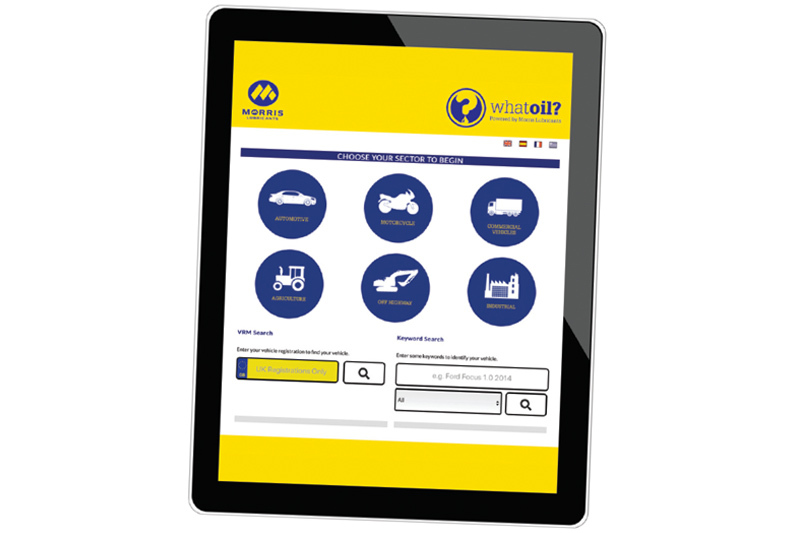 Finally, the contact section gives easy-to- see options on how to get in touch with Morris Lubricants. Here, visitors can ask questions, find the striking clock tower location in Shrewsbury, where the company has been located since 1927, or call to order and find out more information. Next : Noise From Rear Whilst Driving?